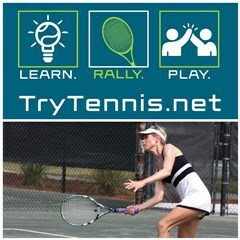 Join Coach Alyssa Mann on the courts two nights a week to give tennis a try. Class meets a Deep Springs Country Club on Sunday and Monday evenings from 6:30-8pm. Registration fee is $30 and includes a FREE racket and t-shirt. Grab a friend, your spouse, your 18-year-old and give this game a try!